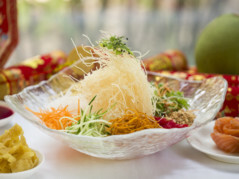 It’s that time of the year again when you toss the Yu Sheng salad and wish someone ‘Gong Xi Fa Cai’ as the Chinese New Year festivities kick off across the UAE this week. While the lunar calendar marks the Year of the Boar on February 5, the celebrations are starting early with a plethora of feasts to tuck into even before January ends. Gulf News tabloid! picks up its chopsticks to give you the best of the fest. For Chinese New Year, Shang Palace — the signature restaurant at Shangri-La Hotel, Qaryat Al Beri, Abu Dhabi — will serve an authentic Cantonese dinner. The set menu consists of eight courses, inclusive of three varieties of mains. Two Mahjong tables will also be set up at Shang Palace for families and friends to enjoy the historic Chinese game during the celebrations. Following traditions, lion dance performances will also take place on February 5 from 11.10am throughout the property and its restaurants. The customary ceremony will kick off at the lobby with an inaugural ceremony. The Cantonese dinner menu, which will also be available for lunch on February 5, includes dumplings and the traditional Yu Sheng salad. Cantonese BBQ options of roasted duck, plum sauce chicken thigh roll and honey beef short ribs are also on the menu. For mains, signature dishes include lobster with crispy egg noodles, pan-fried crispy tofu with minced chicken. Details: At Shangri-La Hotel, Qaryat Al Beri, Abu Dhabi from 7pm until 11pm from February 4 until 19. The set menu is priced at Dh388. Children aged between six and 12 years can eat at half price, while younger children dine for free. A la carte menu is also available. Need some words of wisdom to take you through the ‘New Year’? Go check out Latin American restaurant Coya, which is celebrating the occasion with a little help from Confucius. The philosopher’s quotes will find its way to you in the form of a fortune cookie, popularised by the Chinese Americans over centuries. 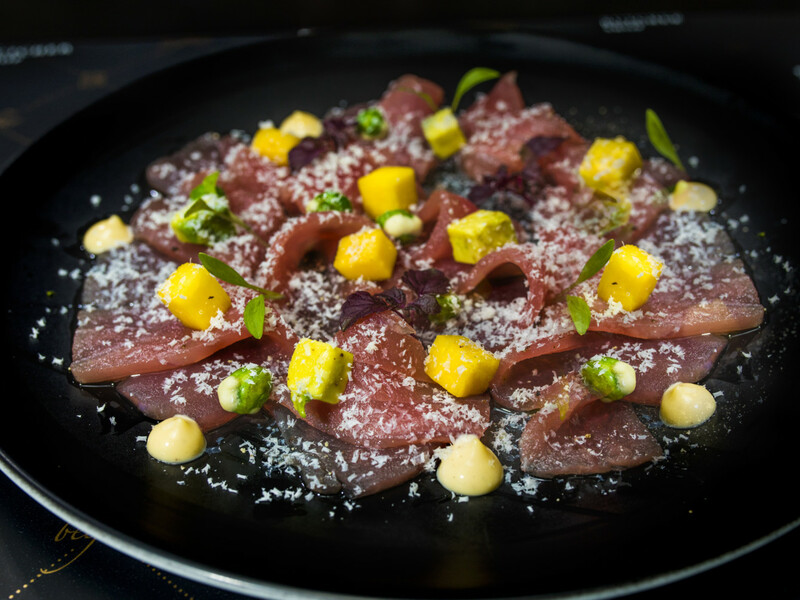 The restaurant is also offering a sampling of fusion food from Peru, giving it a modern spin by melding flavours from Japan, China and Spain. Details: On February 4 and 5, at Coya Abu Dhabi and Dubai. A limited edition signature set menu has been rolled out, which features traditional Chinese, which includes the Liao Liao, a refreshing welcome drink. Dishes will include a wide variety of Asian flavours such as the delectable Peking duck with crispy bean curd and mango, shacha chicken puff, roasted jasmine chicken with sticky rice and wok-fry lamb tenderloin with shiitake. To finish the feast on a sweet note, guests can indulge in the wealth pot, a dessert drawing inspiration from traditional Chinese beliefs symbolising good fortune. The restaurant has also set up a wishing tree where guests can tie ribbons with their hopes for the New Year imprinted on them. Details: Until February 24 at Hakkasan, Emirates Palace Hotel, Abu Dhabi, priced at Dh498 per person. 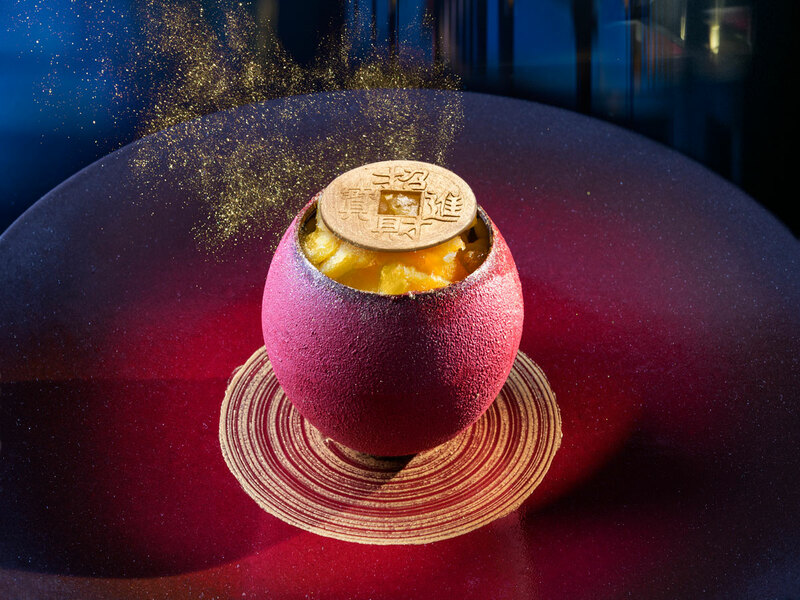 The restaurant has unveiled its unlimited tasting menu in time for the Chinese New Year celebrations. The new menu includes favourites such as Kapitan, chicken rolls with Nyonya curry sauce and crispy beef tenderloin with Cantonese sweet vinaigrette to name but few. Additionally, you can opt for the takeaway option to celebrate at home. The new menu will debut on February 5 with a special lion dance performance, which is free and open to the public. Details: At the Movenpick Hotel Ibn Battuta Gate with the lion dance on February 5 at 6.30pm. The menu is priced at Dh240. Head into the Chinese New Year with this six-course feast at the recently opened Caesars Palace Bluewaters Dubai. Dishes to sample include Kung Pao prawns, seafood dumplings, carved pecking duck, Cantonese steamed seabass and more. End the night with chocolate xiao long bao or a New Year fried cake. The restaurant will also dress up for the occasion with Chinese lanterns and fortune cookies will be offered to each guest after dinner. Families can also engage in creating a pot of gold using chocolate coins. Details: At Caesars Palace Bluewaters Dubai until February 9, priced at Dh350 per person inclusive of soft drinks. The Hala China celebrations at Al Seef kick off in February with a festive food market. Up to 30 stands will assemble along the streets of the waterfront destination in Bur Dubai where visitors can sample Chinese staples, from spring rolls to dumplings and wantons, as well as other favourites from the region. Enjoy special Chinese dishes and sharing platters here, with individual dishes starting at Dh40. Dishes include the classic yee sang salad, along with a dumpling selection with ginger soy or braised beef ribs. If you prefer a vegetarian option, try the monk’s delight — a stir fry with tofu in tomato and sweet soy salsa sauce. A special sharing platter is also available, including classic vegetable spring rolls, stir fry egg noodles, soy sauce braised chicken and more. 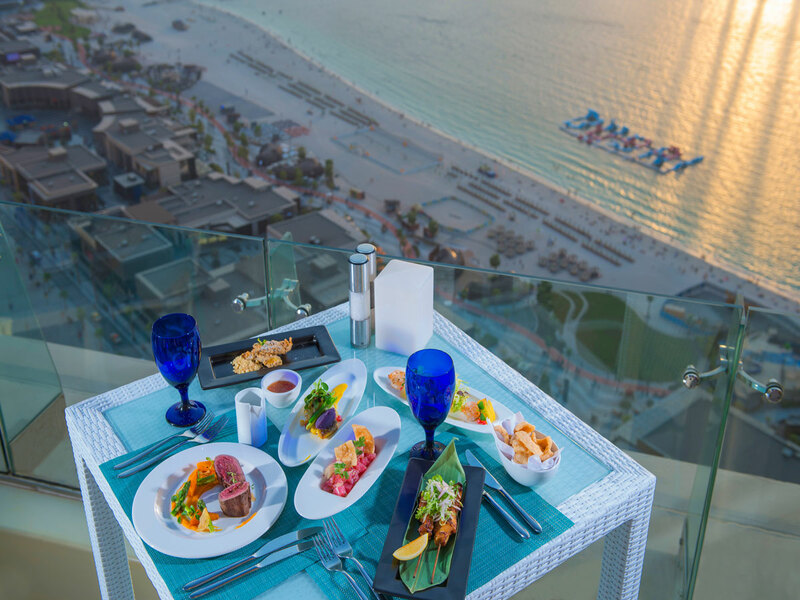 Details: At Hilton Dubai The Walk, JBR, with sharing platters costing Dh135. The popular (and romantic) Asian restaurant, with stunning views of the Dubai Fountain and the Burj Khalifa, has a four-course set menu of Chinese inspired dishes including vegetable dim sum, duck spring rolls and black pepper lobster. Details: From February 1 to 10, from 6pm to 11.30pm at the Palace Downtown. Priced at Dh288 per person including food only; Dh388 per person including food and a bottle of grape. The restaurant chain has created three limited-edition specials with ingot-shaped chicken wantons cooked in duck-chilli broth. 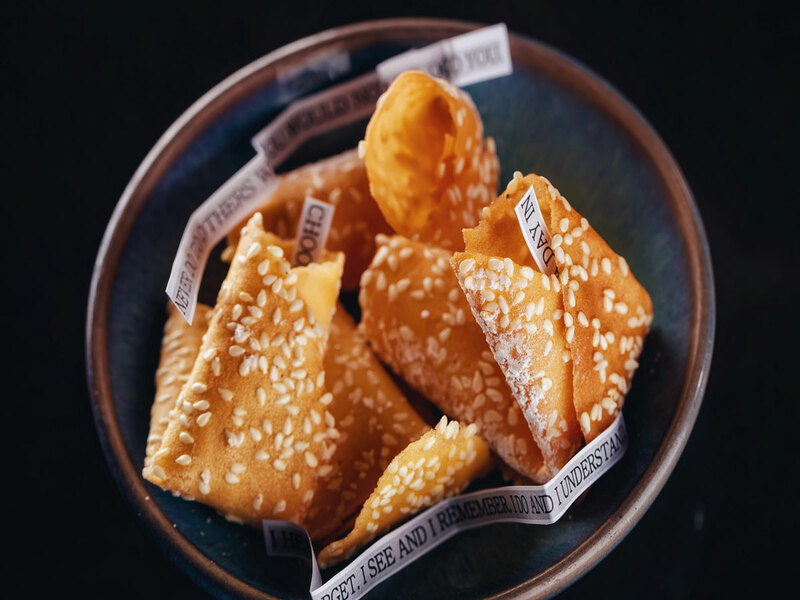 Inspired by a gold ingot — the pre-20th century Chinese currency — tradition states that when wantons are folded in an ingot shape people are gifting friends and family plenty of good wealth. 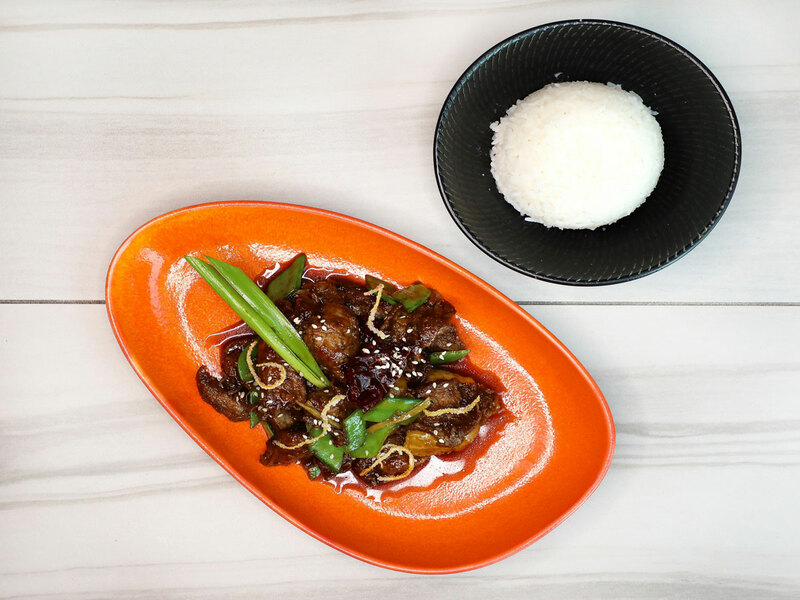 Also included on the menu is stir-fried tangerine beef, flavoured with garlic, chili and chives and served with a portion of steamed jasmine rice. Dessert lovers can feast on steamed lotus buns served with a sweetened Osmanthus flower. Details: Until February 28 across its UAE outlets. Price varies. The two restaurants at Lapita Hotel are hosting Chinese New Year celebrations, with the event kicking off at Kalea Garden with a gala dinner on February 4, with a selection of traditional dishes. From the following day, Hikina will take over to offer Asian delights with four specially curated set menus. Details: At Lapita Hotel, Dubai Parks and Resorts from February 4 until 19. The gala dinner at Kalea Garden is priced at Dh175 per person. The Hikina four-course menus start at Dh95 per person. Check out the Chinese New Year Afternoon Tea at The Lounge at Address Boulevard, which includes savoury treats and four layers of sweets, which includes candy, mini burrata and exotic sandwiches like salmon and beef bresaola’s, all placed in a chest of drawers set atop your table. Details: From Dh189 for two people from February 5 to 9 at The Lounge, Address Boulevard. Enjoy an array of set menus handcrafted by the resident chefs for the festivities or indulge in the Yum Cha evening with unlimited dim sums and mains served on a platter. Details: On February 4 and 5 at the China Club, Radisson Blu, Dubai Creek priced at Dh138 per person for lunch and dinner. Ring in the new Chinese year with international cuisine at the Feast buffet with a selection of traditional Asian dishes crafted for the occasion. Details: At Feast, Sheraton Grand Hotel, on February 5 from 6pm until 11pm, priced at Dh199 per person. 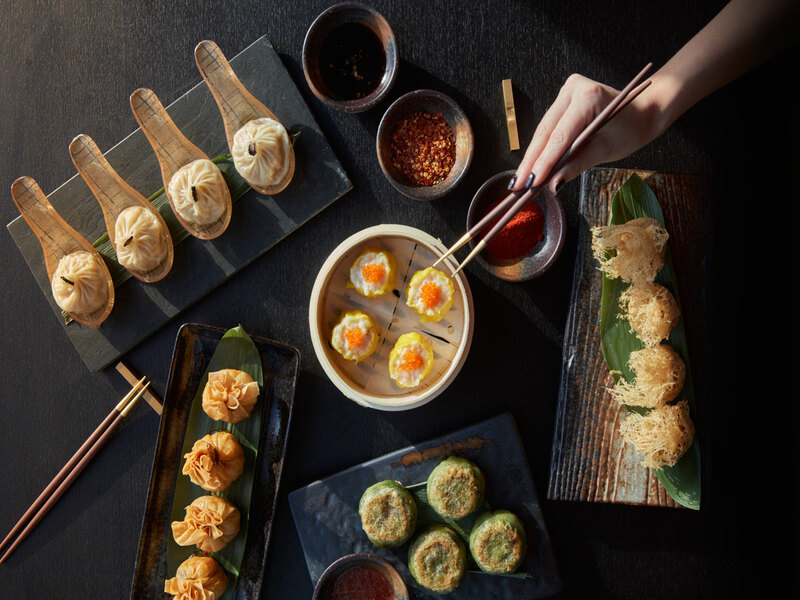 A favourite on the Dubai food scene, Long Yin will be decked in shades of red for the festivities with a set menu of steamed scallops, dumplings, sauteed tiger prawns, among other festive specialities. Conclude the evening with an assortment of uniquely crafted desserts, including the likes of mango with strawberry caviar and take home the traditional red envelope to usher in luck and fortune in the New Year. Details: At Le Meridien Dubai Hotel & Conference Centre from February 4 to 6, priced at Dh191 per person. 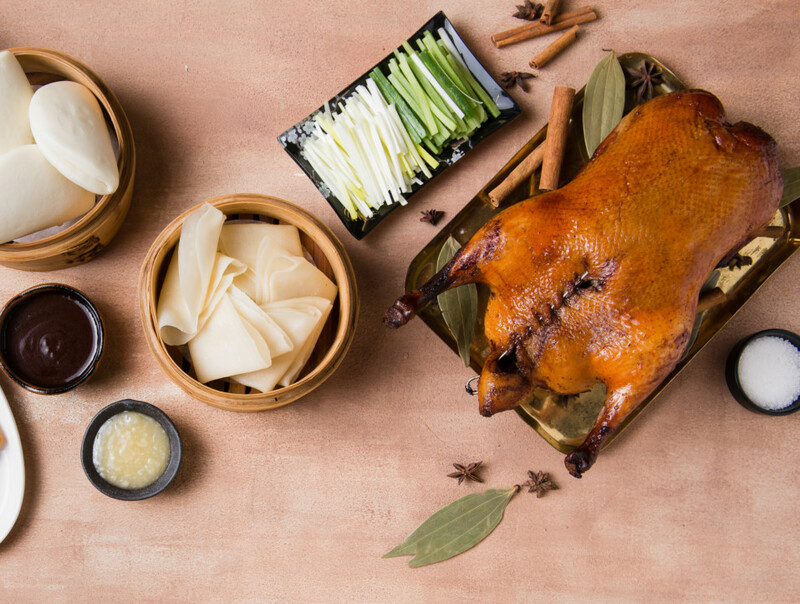 Celebrate the start of the new Chinese year with traditional favourites such as dumplings, Peking duck and other specialities. A special buffet of Chinese dishes will be hosted on February 5, while a Friday brunch on February 8 will feature a Chinese-themed outing. Details: Chinese specials from February 5 to 8. Dinner buffet starts at Dh179 per person including soft beverages, while house beverages are available as per a la carte. Brunch from Dh325 per person including soft beverages. At The Address, Dubai Marina. 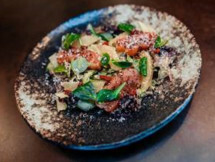 To celebrate the occasion Beefbar Dubai has created a special five-course set menu which showcases dishes from the Michelin star Beefbar in Hong Kong. To upgrade the experience, there’s also an offer of Dh200 for three glasses of grape beverages. The restaurant will be given a makeover to fit the theme, with lanterns hanging from the ceiling and of course, lucky red cards which are said to bring energy, luck and happiness. Details: At DIFC, on February 7 and 8 priced at Dh400. Dubai’s latest Pan-Asian meat atelier pays homage to the beginning of the Chinese lunar calendar with a tailored menu. The festive three-course sharing menu begins with an array of starters including salmon yusheng, crispy wonton pouch and mushroom dumpling soup, before continuing with mains including steamed sea bream, black onyx beef tenderloin and more. The menu has options for vegans, vegetarians and those who are gluten free. Details: At the Emerald Palace Kempinksi, Palm Jumeirah from February 5 until 12. Prices vary. Thee celebrations will run across five days, beginning on February 1 with a themed Chinese New Year brunch, followed by a set menu available from February 4 for four days, for both lunch and dinner. Diners can expect a feast exploring tastes of the orient withentertainment including dance performances, calligraphy demonstrations and traditional tea ceremonies. Details: At Jumeirah Mina A’Salam, with the February 1 brunch running from 12.30pm until 4pm, starting at Dh475, inclusive of soft beverages. The Chinese New Year’s Eve feast on February 4 starts at Dh388 and runs from 6.30pm until 11.30pm. From February 5 to 7, a set menu is available for lunch and dinner, starting at Dh388. Marking the Year of the Boar, Peppercrab will be hosting a traditional prosperity meal, kicking off the evening with yu sheng, a Chinese salad tossed with chopsticks in order to raise prosperity. 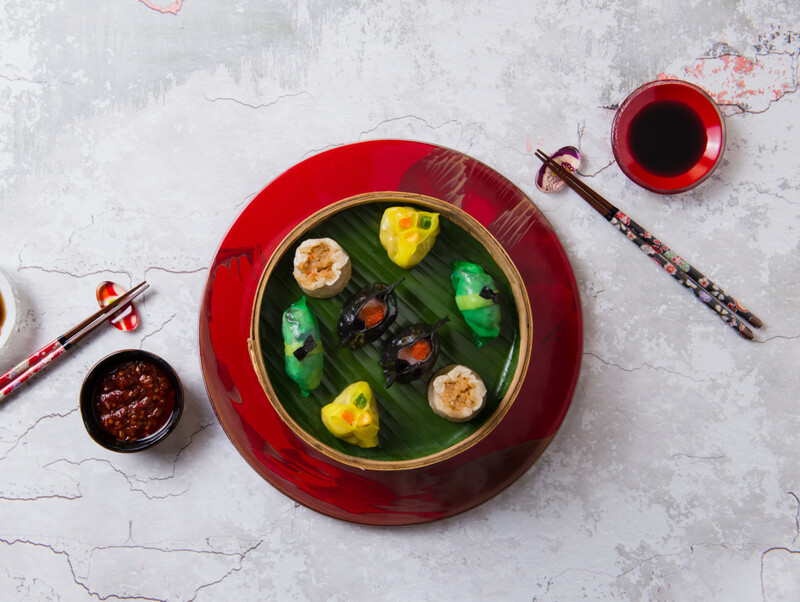 The festivities will also feature a range of packed authentic Cantonese dishes, traditionally prepared by Chef David, believed to bring health, wealth and happiness for the coming year. Details: At the Grand Hyatt, Bur Dubai from February 5 until February 9. Prices vary. While Chinese New Year falls on February 5, Buddha-Bar at Grosvenor House will celebrate 10 days later at 8.30pm. Celebrators will be able to indulge in a menu that includes the five spice chicken salad, followed by hot starters such as prawn hargao and roast duck pancake. Mains come in the form of wok fried Australian beef. Partygoers can match the food with a Burlesque show and authentic Chinese performances. Details: At Grosvenor House on February 15 from 8.30pm. A la carte. The celebrations start early at this Bab Al Shams venue, starting on January 31 with a dinner buffet to mark the Chinese New Year with Cantonese and Szechuan cuisines — think crispy duck in hoisin sauce and fried banana as an accompaniment to ice cream. Details: From January 31 until February 13 at Bab Al Shams Desert Resort & Spa, daily from 7pm until 11pm, priced at Dh195 per person, inclusive of soft drinks. Located on the Palm Jumeirah, the Chinese New Year feast comes with a four-course set menu featuring authentic cuisine, coupled with a traditional lion dance. Details: At Sofitel The Palm Dubai on February 4 to 10 from 6.30pm until 11.30pm, priced at Dh388 per person. Dim sum platter at Shang Palace. The Year of the Boar will see the restaurant celebrate with lanterns and Chinese music as you sample a choice of two traditional set menus featuring dishes such as Hong Kong-style barbecue duck, dim sum platters and traditional rice balls with sesame paste. Any guest who dines can also enter the chance to win a stay at Kerry Hotel, Beijing. Details: At Shangri-La Hotel, Dubai from February 4 until 19, from noon to 3pm and 7pm until midnight. Priced at Dh358 per person, for food only. 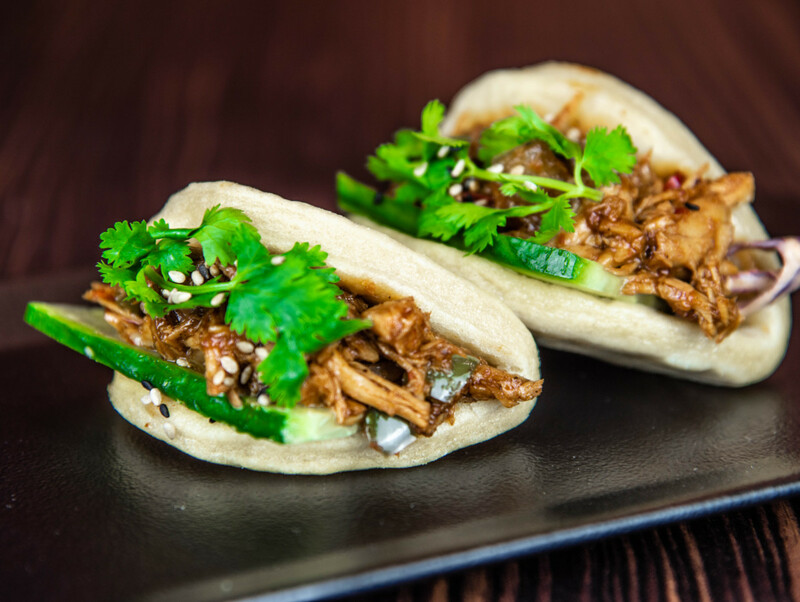 The restaurant will partake in the Chinese New Year festivities with a 10-course menu on January 31 and February 1, featuring baos, dumplings, duck pancakes, The restaurant’s signature chicken balls, wok noodles and a surprise trio dessert will also feature on the menu. Each course also includes vegetarian options such as edamame and truffle dumplings, mapo tofu, dynamite broccoli and stir-fry veg noodles. Details: At Cluster A, Jumeirah Lake Towers, priced at Dh349 on January 31 and Dh299 on February 1 with premium beverages, from 8pm until midnight with house beverages. 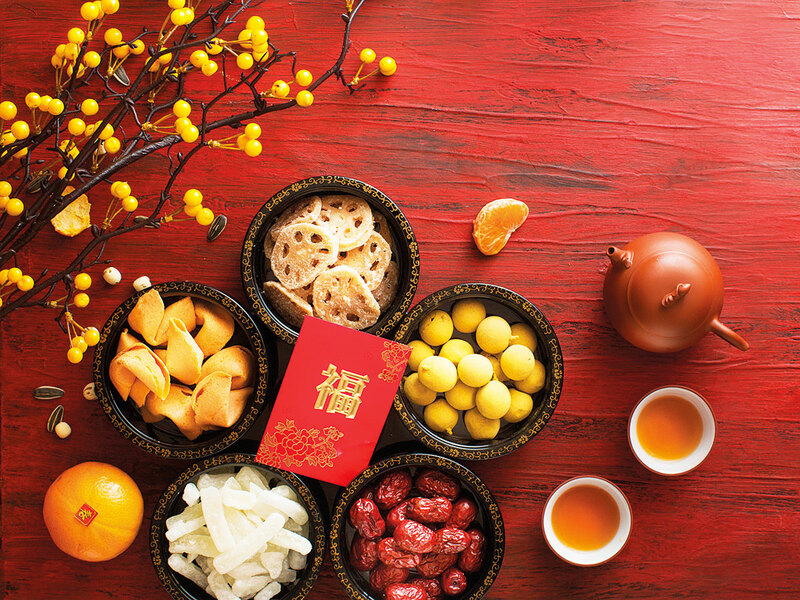 The UAE food delivery service is also partaking in the Chinese New Year celebrations by offering Royal China patrons a free fortune cookie with their online order. The cookies will be given on February 5. Some will also come with the fortune of free food in the new year. To celebrate the Chinese New Year, Sanchaya Terrace is hosting a festive dinner on February 5. Guests can sample the set menu while taking in cultural performances to the backdrop of the Arabian Sea. Details: On February 5 at DoubleTree by Hilton Resort & Spa Marjan Island priced at Dh180 per person, inclusive of soft beverages.